I was recently contacted by Stacy at Apera bags and to our delight we discovered that I live very close to a lot of her family in Montana. In fact I went to the same high school as some of her cousins. Small world! 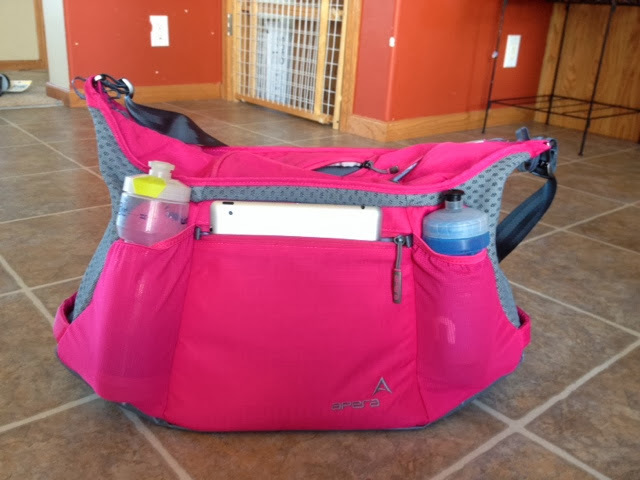 What's the deal with Apera bags? What makes them so unique and great? 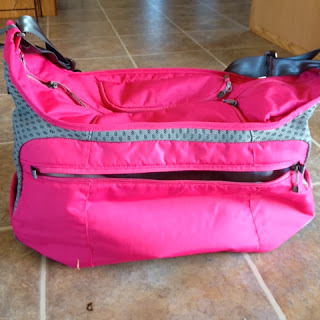 They are designed to be healthier, with built in antimicrobial protection, linings that are wipeable and venting to keep your bag and belonging dry and free from odors. I confess I haven't really had a new gym bag in a while a) I don't belong to a gym b)it hasn't been a top priority. I have been using this bag that I got in high school when I go to races or travel, it also used to serve as my gym bag. It's been through a couple of relays. There are 9 zippers on this bag. 9! Lots of pockets to stay organized! Comes with a small zippered bag to put wet things in to keep the rest of your things dry and clean. 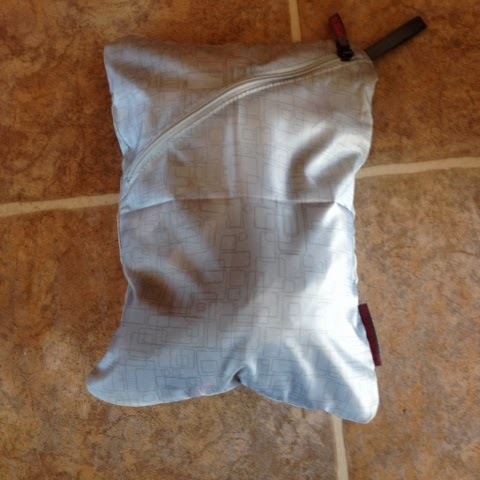 Large pocket on the back great for putting the small zippered bag full of wet, or stinky things into. or anything you want really, it's a big pocket! Water resistant base if I set it in something wet, the contents stay dry. 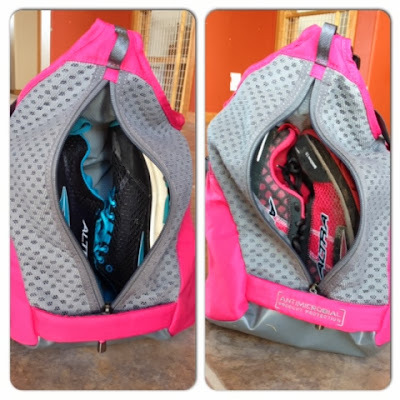 Two vented compartments, one on each end of the bag that are great for storing shoes to keep the rest of your things clean and dirt free. 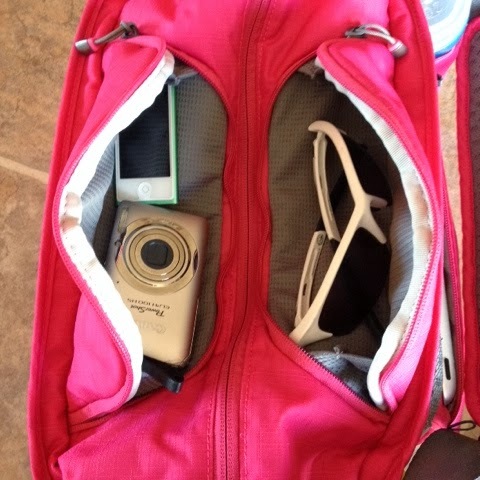 Several padded pockets great for my iPad, iPhone, camera, sunglasses etc. Keys would be great here too so you can find them easily. 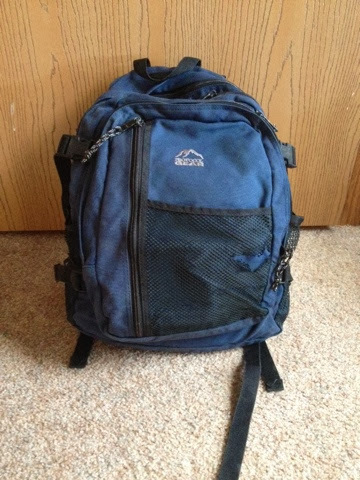 This easily will become my new travel and race bag. No more digging around trying to find things. Check out all the pockets on the roomy inside! 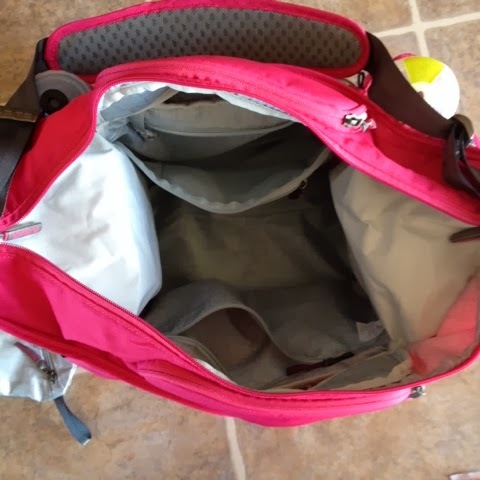 The bag opens wide so you can find things easily. this is with a pair of shoes on each end. Their bags all come in four different colors. Black, blue, pearl, and fuchsia. And all blue bags are 40% off right now as well as the Duffel packs. 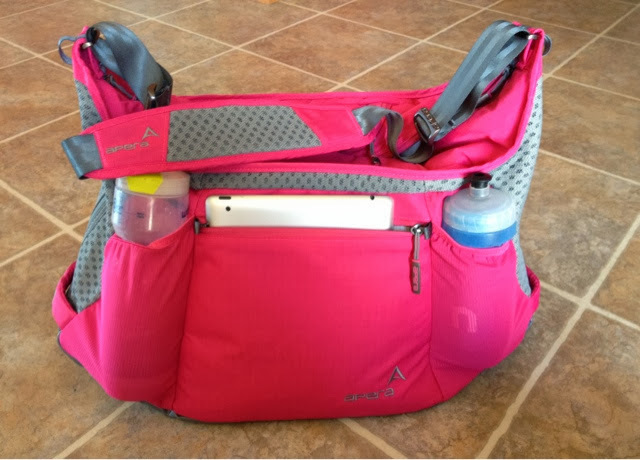 Apera has generously offered to giveaway one of their Sprint Packs. These bags are the same bags they donate to the Special Olympics for every three bags they sell. They also giveaway a bag every month of the website. 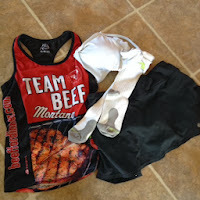 You can enter here to try to win a yoga tote this month. I seriously love this bag. I want it so much because it seems perfect. not too big but can fit everything you need. 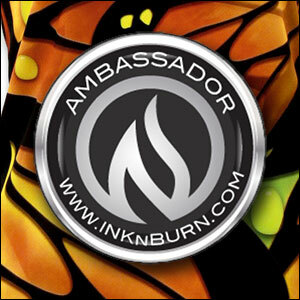 Awesome review!!!! I love my yoga tote...but your performance duffel looks amazing!!! Extra bag for the wet and stinky! That is a sweet bag! Especially the second pouch for gross wet stuff and the shoe pockets! I love it! Super cute and it has so much room. Those are a lot of pockets! Love this! The pink one you have is amazing.I have been using the same gym bag for over two years... it smells... ripe. I go to the gym at least 3x a week so it gets a lot of use. 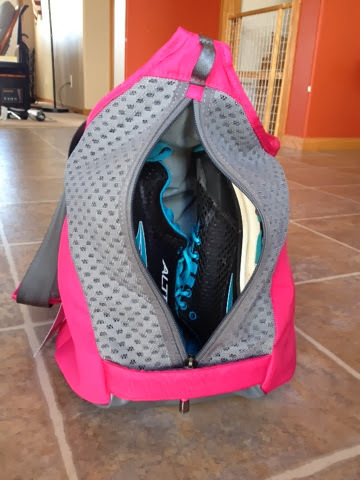 Love the separate compartment for shoes! and the Sprint pack even has cubbies for your shoes :) awesome! SO many pockets!!! and even room for shoes! I love all of the pockets, especially to keep the shoes separate from everything else! I love the color and how much room this bag holds! I love everything about it! The color, the size and how much it can hold, and even the little wet bag that comes with it. Mostly because it has a separate compartment for your shoes!!!! I like that it has a lot of different pockets and sections. I'm a big fan of all the different compartments. I usually just toss everything in and it turns into a big mess in the bottom of my bag. I love all the options for storing things and how organized the bag is!! I love keeping things organized. I love that it has so much same and has lil compatments.